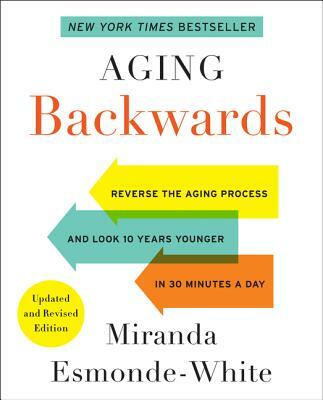 PBS fitness personality on Classical Stretch and creator of the fitness phenomenon Essentrics , Miranda Esmonde-White offers an eye-opening guide to anti-aging that provides essential tools to help anyone turn back the clock and look and feel younger no matter what age. New. 100% Money Back Guarantee. Brand New, Perfect Condition. We offer expedited shipping to all US locations. Over 3, 000, 000 happy customers. Sewn binding. Cloth over boards. 304 p. Contains: Illustrations. Aging Backwards, 1. New. 0062859323 Brand New! No Remainder Marks or Worn Dirty Overstocks! Fine. 100% Money Back Guarantee. Brand New, Perfect Condition. We offer expedited shipping to all US locations. Over 3, 000, 000 happy customers. Sewn binding. Cloth over boards. 304 p. Contains: Illustrations. Aging Backwards, 1. Very Good. 0062859323 Minor shelf wear. Very Good. 0062859323 signs of little wear on the cover.